“When the harvest is changing it’s like dancing every day,” says Nicholas Figel, executive chef at Cyprus International in Highlands. 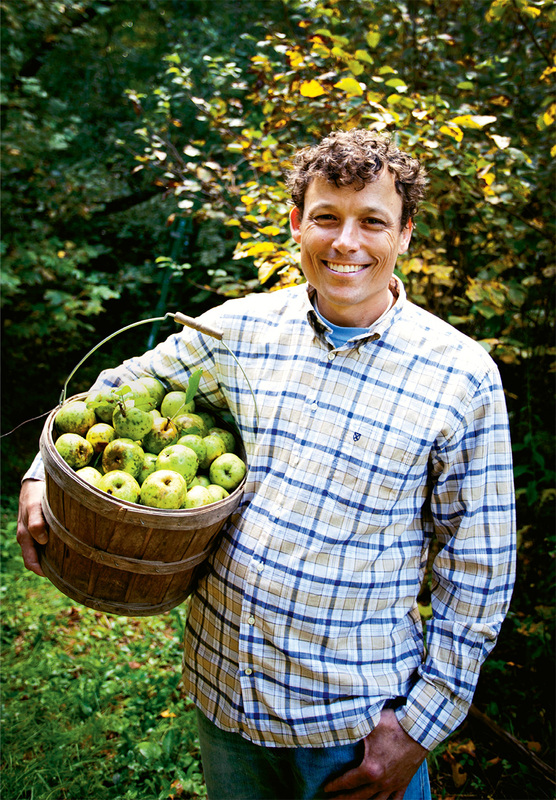 He shies away from naming a favorite partner, but heirloom apples are at the top of his dance card this autumn. Figel spent his younger years working at his family’s seafood restaurant, On the Verandah, which is still in operation in Highlands. He left the culinary world in his mid-20s, then opened Cyprus International in 2003. The restaurant elevates international street food and home-style cooking from around the world, while letting the agricultural traditions of Western North Carolina shine through. Much of the restaurant’s produce is sourced from Marker Mountain Herb and Flower Farm, about three miles away. The two and a half-acre farm is owned by Frank and Darlene Marker; they grow exclusively for Cyprus and focus on hard-to-find fruits and vegetables. The farm’s eight heirloom apple varieties were planted by the property’s original owners about 80 years ago and continue to bear thousands of rare apples each year. At first, Figel was stumped as to how to use the oddly shaped, extremely perishable fruit. One of the farm’s most luminous varieties of apples is called Transparent. The apples—which appear to glow when sunlight hits the orchard—are too delicate to be transported even to farmers markets, making them unique to the restaurant. Figel juliennes the apples just minutes before serving to preserve the delicate color. Tailgate markets offer a plethora of in-season substitutions when heirloom apples aren’t within grasp. Figel suggests making apple pickles or using apples in place of jicama or potatoes in autumn dishes. Try his apple-forward recipes this fall. Cooking tip for apples: Let loose and don’t pay any mind to the rules. Set cinnamon aside and seek new flavors. Culinary cautions: Don’t overcook apples or the proteins will break down.